Jean Beausejour was born in Santiago, Chile. He is the son of a Haitian father and a Chilean-Mapuche mother. 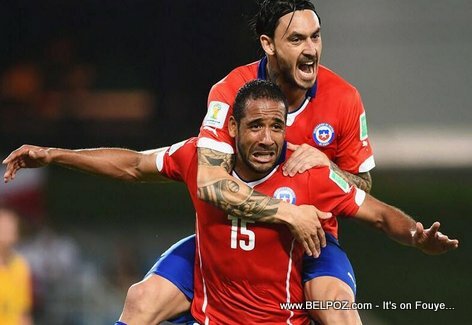 Also read: ANMWEYYYY GOOOOOLLL Haitian-Chilean Jean Beausejour Scores for Chile! This goal put Jean Beausejour's name into the history books as the first Chilean to score in two different FIFA World Cup tournaments, having scored in the opening game of South Africa 2010 too. On the Haitian side of things... I think this also puts Jean Beausejour's name in the History books as the first Haitian to score more than once in FIFA Wold Cup tournaments. Jean Beausejour... TOUP POU YO!!! I watched the game against Australia, and when Beausejour scored, I just knew that his name had to be haitian.